Alright, we’ve all been introduced to this new wave of folky-hipster music that just doesn’t seem to be going away anytime soon. We’ve got Mumford and Sons (who kind of made this popular genre a bit enjoyable), the happy-go-lucky Lumineers, and Of Monsters and Men (I admit that I do enjoy these guys a bit. It might be because of the hint of accent in the lyrics). 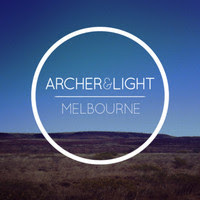 Now I’d like to present to you an indie pop, folk electronica band that presents some good competition for the big names out there already – Archer and Light. While still maintaining the features of folk—the clap alongs, the sweet angelic voice paired with a strong lead vocal, and “pa pa ra pa’s”—there’s more electric guitar melodies and just the right amount of electronics mixed in. Archer and Light set themselves aside from the mainstream because of these qualities and, with no other way to put it, I’d rather hear them during my shopping sprees at Urban Outfitters and Forever 21. Not to mention, you’d have a heck of a better time jumping around in cut off shorts, a bralette, and a daisy headband at the next big festival of the summer if these guys were playing. Take a listen to "Melbourne" and see if you feel what we feel. Purses are meant to be a woman’s companion. They reflect an awareness of style and have become essential products. chanel outlet They also express your mood, and when buying one, you can consider factors like sizes, shapes, colors, durability, functionality and quality. louis vuitton replica You can select one that best complements your outfit by taking into consideration the different types: dior replica Cross-body purses usually have longer connectors and as the name implies, they are worn across your body. replica louis vuitton From classic to versatile leather and eclectic boho images, gucci replica these are available in a number of styles and designs. The style may vary from being dainty and stylish to oversized and functional.